Railroad Time in ALL SIX POSITIONS (RARE). 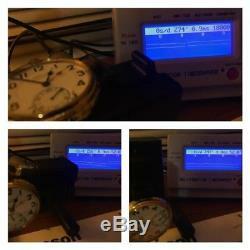 Maximum inaccuracy of -2 sec/day in any position. Cased in Beautiful Salesman Display Case. 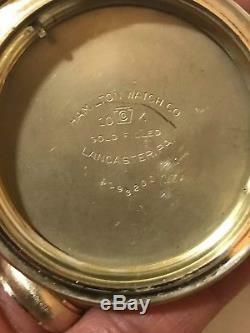 The original Hamilton Model A Case that came with the watch. 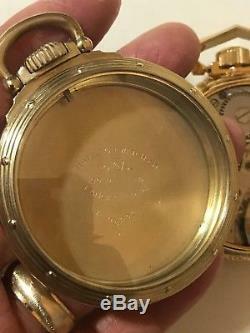 Hamilton 10K Gold Filled Case. RARE DUAL TIME ZONE HANDS. Very Rare to be able to get RAILROAD TIME IN ALL POSITIONS. Point Up (12 O'clock): -2 Sec/Day. Point Left (9 O'clock): -1 Sec/Day. 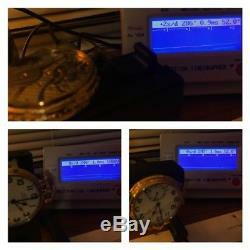 Point Down (6 O'clock): 0 Sec/Day. Point Right (3 O'clock): 0 Sec/Day. Railroad time requirement is maximum time deviation is 30 seconds per week which comes to approx 4 seconds per day on all the adjusted positions. This Hamilton 950B is adjusted to 6 positions and this watch has maximum inaccuracy of -2 seconds in 6 positions. 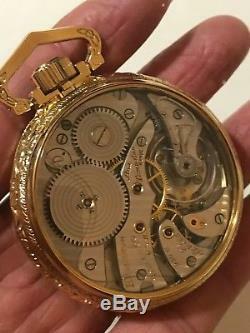 So, as this watch moves in all different directions in a pocket, this watch is impeccably accurate. 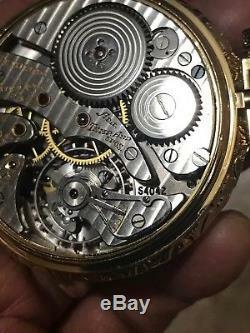 Very difficult to find another watch with such accuracy. 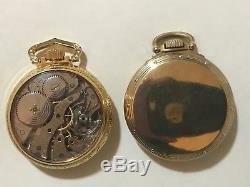 This also shows the superior craftsmanship of American Watchmaking on Railroad grade pocket watches. NO SWISS CAN MATCH IT!!! Runs, Railroad Time all positions. 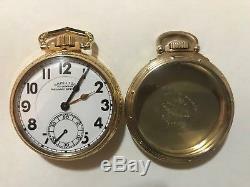 Excellent + Original Case Included. Display Salesman Case, Screw on both sides, Both sides screw properly as shown in the picture, but be careful. 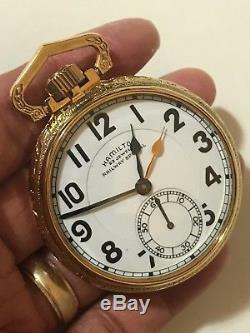 Stunning Original Double sunk, Hamilton 23J Railway Special Dial. 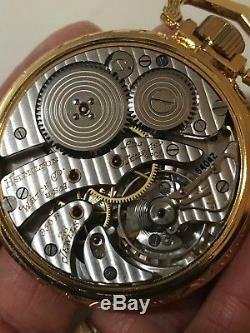 Slight imperfection at the center of the dial. 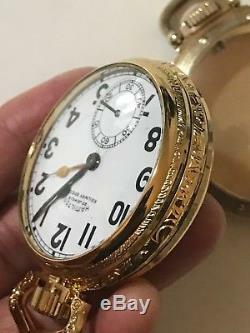 Rare Dual Time Zone Hands. 6 (Meets Railroad Times in all 6 Positions). 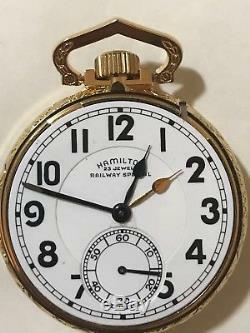 The item "Hamilton 950B Railway Special Pocket Watch Salesman&Original Case RR Time 6 Pos" is in sale since Tuesday, July 3, 2018.